Easy to use, water-based matt primer coating and topcoat for indoor and outdoor use with excellent all-round properties. Easy to use, water-based matt primer coating and topcoat for indoor and outdoor use with excellent all-round properties. It can be applied universally on various substrates: Wood, wooden materials, metal and hard PVC. The low-odour and environment-conserving product is block-resistant and nonyellowing. A finishing coat with rough glimmering texture can be achieved with the base E20. 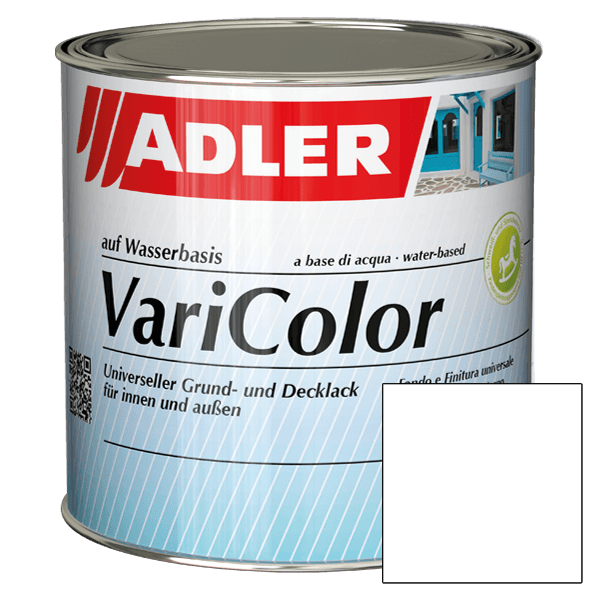 Glossy surfaces can be realized with the application of ADLER Varicolor 41220 Farblos glänzend (glossy colorless) as a top-coat. Efficient coating on wood, metal, hard PVC and capable of holding old coatings for outdoor and indoor use.